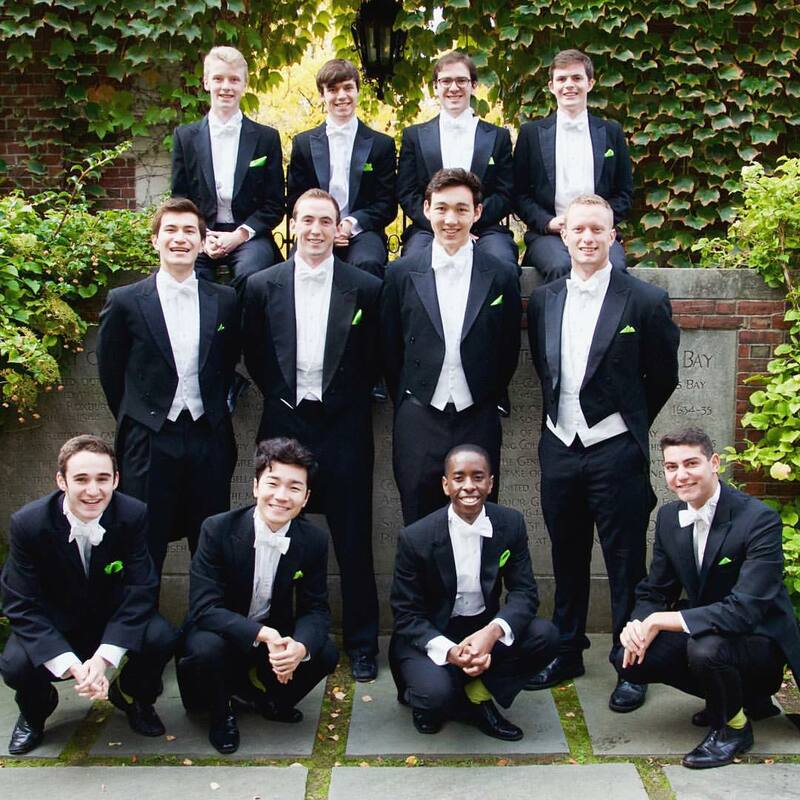 "A Capella with a Twist"
The Harvard Din & Tonics are Harvard University’s signature all-male a cappella singing group, known around the world for their rich tradition of musical and performance excellence. With a repertoire centered on the American jazz standards of the 1920s, 1930s, and 1940s, these Harvard gentlemen — who perform in white tie, tails, and lime green socks — have an enviable reputation for their impeccable musicality, snappy choreography, and hilarious antics. Having performed this year from the beautiful beaches of Bermuda to the White House, the “Dins” are currently stopping in London as part of their biannual 10-week, 14- country world tour. The concert will begin at 7:00pm. Cash bar will be open from 6:30pm. The event was sold out last time so purchase tickets quickly to avoid disappointment. No tickets will be issued- your name will be on a list at the door. Dress Code: Gentlemen must wear a jacket and tie. Ladies are required to dress with commensurate formality. Shorts, t-shirts, training shoes, jeans and other similar casual wear are not permitted.